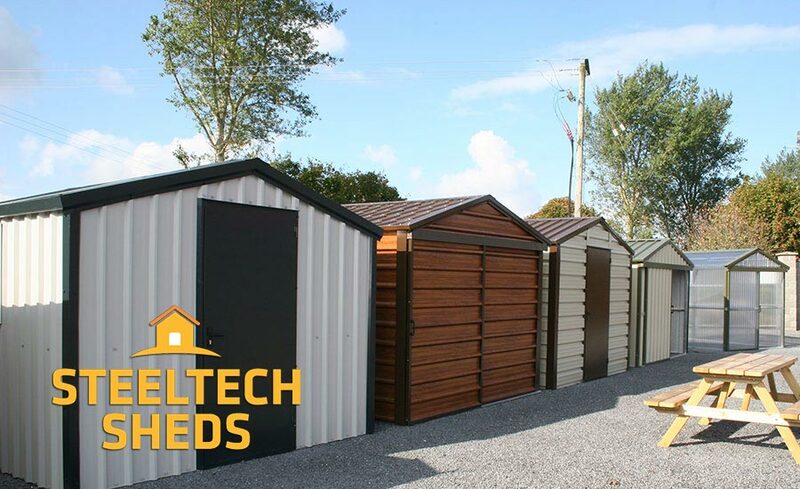 At Outside at Fine Framers, we are proud to be agents for Steeltech Sheds in Carlow, where we see at first-hand how they continue to become more popular. And that’s a growth that Steeltech Sheds is enjoying across the board, as earlier this year, the company announced a major investment of €5 million over the next three years and 43 new jobs in the next 12 months. That comes on top of how 50 new jobs were already created last year. Having started with two people back in 1994, including its founder and CEO Sean Brett, Steeltech’s progression is as staggering as is it is impressive. From two people, it now has 130 staff, a head office in Tuam, and 20 locations around Ireland, including ourselves in Carlow, with plans to grow from six locations in the UK to 20 there before the end of the year. By 2018, the company hopes to have expanded to Europe, starting in Holland and Germany. With this future expansion, it also plans to have a manufacturing base in Europe. The steel shed that can be used as a garden shed or garage remains hugely popular, but the rise in home offices, granny flats, gyms, and chalets is where the business has seen a huge level of interest and orders, leading to the current expansion. A Steeltech Sheds office can be in place on site in two days, or a one-bedroom chalet in six days. All buildings are fully insulated and wired, and all come with a 20-year guarantee. No matter what type of Steeltech Sheds building you might be looking for in Carlow or surrounding areas – from small storage for a wheelbarrow and mower, right up to extra living accommodation or a home office – come and see us at Outside at Fine Framers. We’ll give you expert advice, design the perfect solution for you, and deliver you a competitive quote. Then you can soon be enjoying all the benefits that Steeltech Sheds bring!